The thyroid hormone (TH) plays a signiﬁcant rolein diverse processes related to growth, development, differentiation, and metabolism. 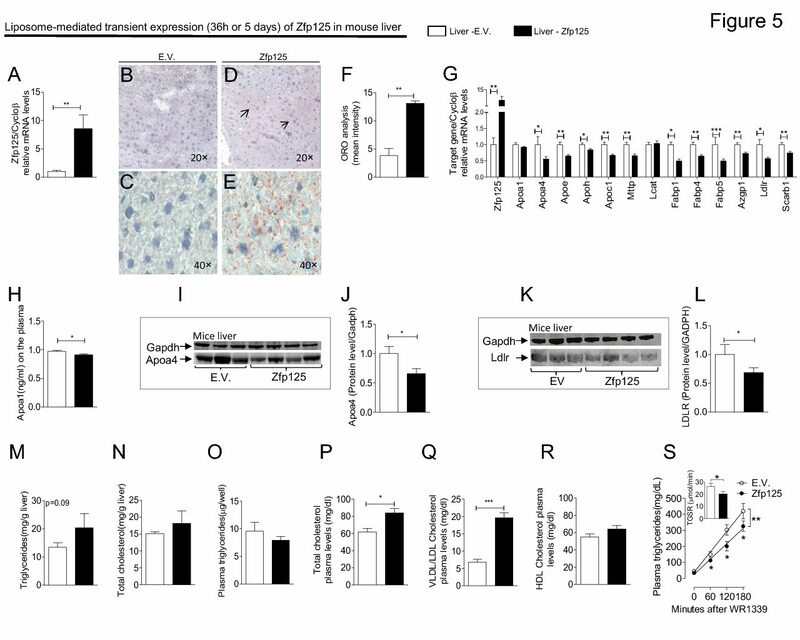 TH signaling modulates energy expenditure through both central and peripheral pathways. At the cellular level, the TH exerts its effects after concerted mechanisms facilitate binding to the TH receptor. In the hypothalamus, signals from a range of metabolic pathways, including appetite, temperature, afferent stimuli via the autonomic nervous system, availability of energy substrates, hormones, and other biologically active molecules, converge to maintain plasma TH at the appropriate level to preserve energy homeostasis. At the tissue level, TH actions on metabolism are controlled by transmembrane transporters, deiodinases, and TH receptors. In the modern environment, humans are susceptible to an energy surplus, which has resulted in an obesity epidemic and, thus, understanding the contribution of the TH to cellular and organism metabolism is increasingly relevant. 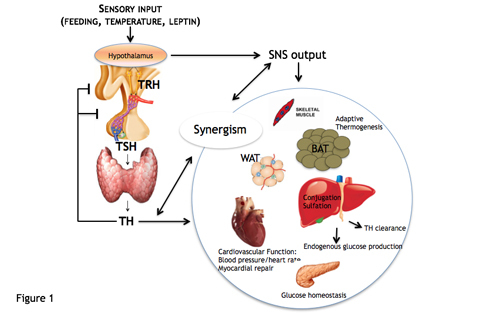 Thyroid hormone signaling in energy homeostasis and energy metabolism.